The most popular feature of macOS 10.14 Mojave is, perhaps, the system-wide Dark Mode, with some software developers already updating their applications to adopt the new look. Google Chrome, however, is a little late to the party. Although version 71 of Chrome was released this week, it doesn’t support a dark mode on macOS Mojave, but that’s about to change. According to a Reddit thread, a Google developer submitted a code change a few days ago, suggesting that a dark theme for Chrome for macOS Mojave will be available in the near future. The feature is currently in early beta testing as there are a few kinks that need to be ironed out before a public release. 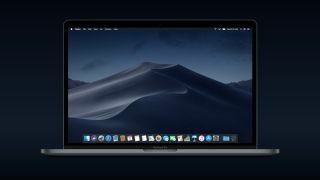 A bug report lists the issues Google is currently facing with the implementation of dark mode for the macOS Mojave version its web browser. However, the most telling issue is “how the dark mode for Mojave will be distinguishable from Incognito mode”. Google already uses a dark theme to differentiate between a regular Chrome window and its Incognito (private) window, but the same workarounds would not work for the new feature on Mojave. However, the code change has passed the review process and will find its way into an upcoming stable release, most likely in early 2019. While Google figures out how to enable the feature, it’s available on the search giant’s open-source testing platform, Chromium. From there, code changes are implemented on Canary (an early-release testing browser), then on Chrome Dev, followed by Chrome Beta and finally to the publicly available browser itself, with the entire process taking approximately six weeks. With Chrome 72 already in the pipeline for a January release, no new features will be added to it, so we’re hoping version 73 – which could arrive in March – brings dark mode support for Mojave. In the meantime, though, third-party plugins are available on the Chrome Store to add the feature to the browser.